If you have a collection of vintage pins, they make a great wedding keepsake and bouquet, a nice way to brighten a suit jacket and now, they can personalize hats. Choose one with a lot of character, or color, and match it to a hat appropriate for the occasion. Last year, a friend who loves ball caps had a lot of fun with a little set of vintage jewelry pins I gave her to add to her hats. It's a fun treasure hunt and an easy way to give someone a personal gift without spending a lot of money. 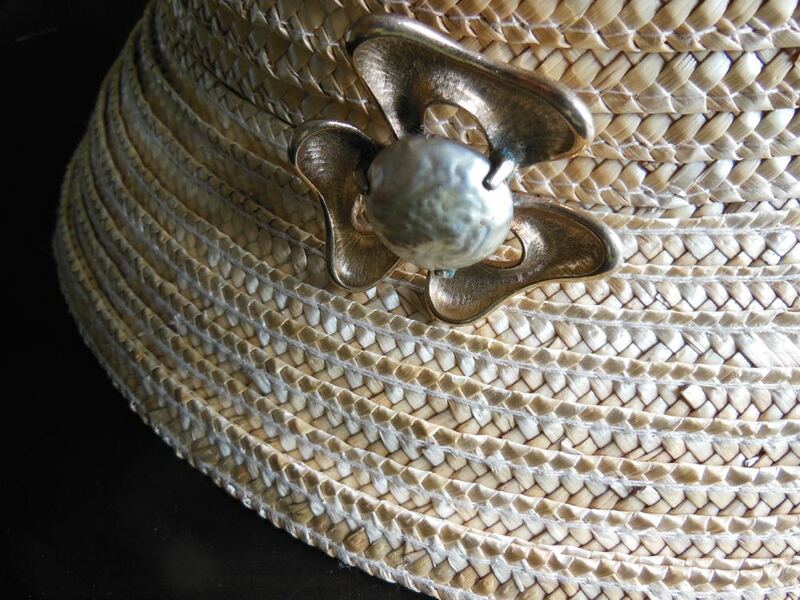 When they don't want to use the jewelry pins on hats, they can enjoy them on a sweater or a belt. If they don't like to wear the pins, they can display the vintage collectible pins on a fabric background in a picture frame to preserve the memories. Jewelry pins are very versatile and don't have to just be on a coat lapel! 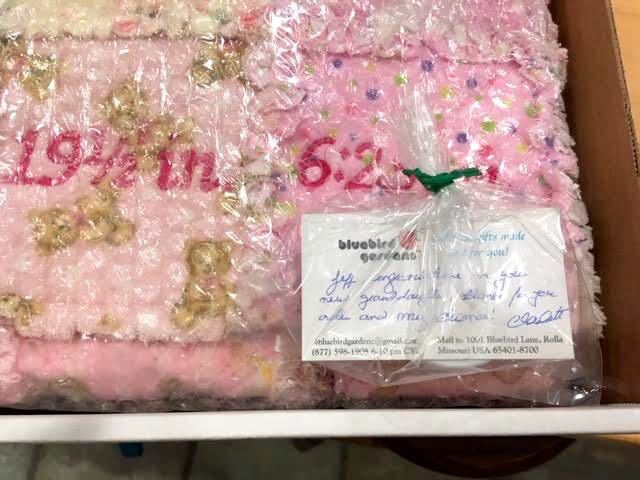 Every time I get to gift-wrap and ship one of our personalized quilts, I imagine what the recipient goes through at the other end when they get first get the box. 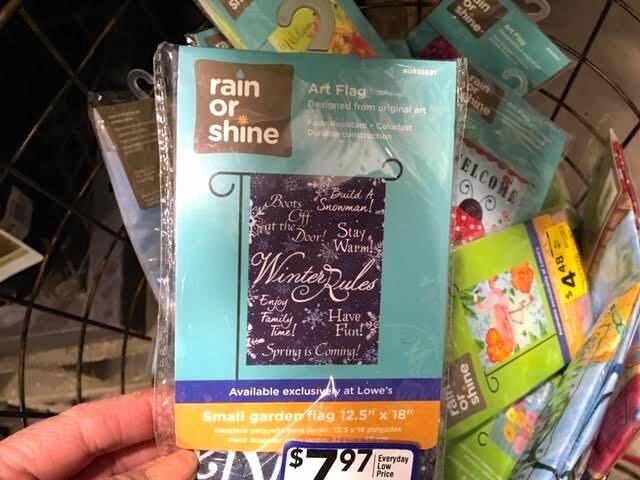 What will they think when they first read the free gift tag enclosed? Since all of our baby quilts are shipped with a free toy carrying the gift tag, what kind of toy will I choose? And where will the toy pop up when the gift is unwrapped? In this example, the personalized baby quilt was our very popular Alphabet in Clouds Baby Quilt with a white cloud at the top where the custom embroidery can easily be added. Where to place the custom embroidery is easy but what about the free gift toy? When one has 26 letters in the alphabet, which one am I going to match? As I go through my choices, I try to compliment the quilt colors with the colors in the toy. I also try to select a toy that is represented in the baby quilt. In this case, it was easy, C is for Cat! 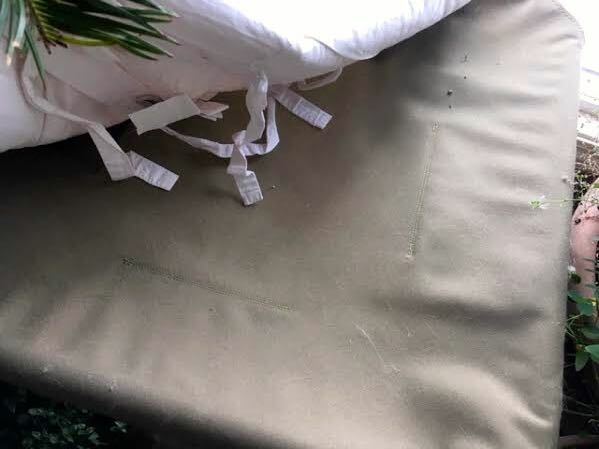 To make the personalized gift even more special, I tuck the toy inside the baby quilt so that when it is unwrapped, the toy is a special surprise. Like the soft center inside a chocolate. I must have the letter C on my mind! 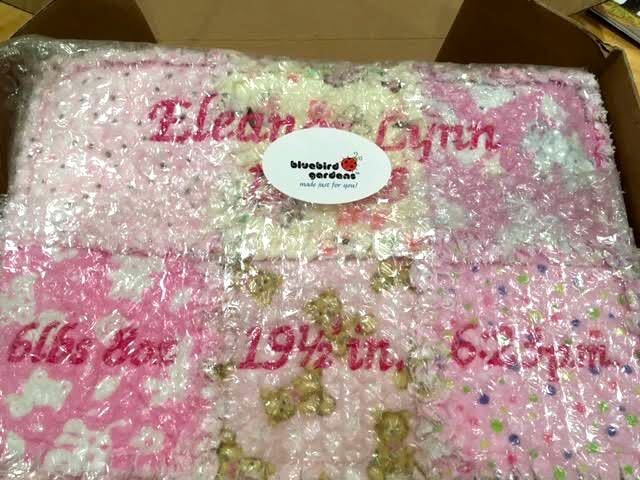 One of the ways to personalize a baby gift is to have a baby quilt custom embroidered. There are several ways you can personalize a baby gift. The most popular way is to add custom embroidery to a baby quilt, such as the baby's name on this custom one of a kind Zoo Baby Quilt Gift Set we personalized for a customer. There were several locations where the custom embroidery could have been added but the customer decided to place it at the bottom in the solid navy blue section in white letters. Some customers also add the baby's birth date. Another way to personalize a gift is to add a custom gift tag with a hand-written message. If you don't have time to get custom embroidery, adding a nice handwritten note is a nice touch, especially if you have nice handwriting. 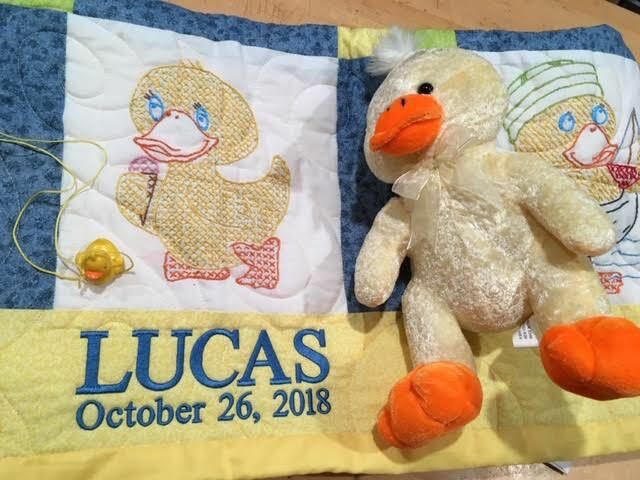 My favorite way to personalize a baby gift, however, is not necessarily the easiest way but it can be the most fun for both the receiver, and the giver, and that's to accessorize the quilt with a complimentary toy. In the case of the Zoo baby quilt, we added a panda toy to keep the baby quilt company on it's way to its new home. Pick either a theme off the baby quilt or something in similar colors if you can't find something that matches the quilt theme. 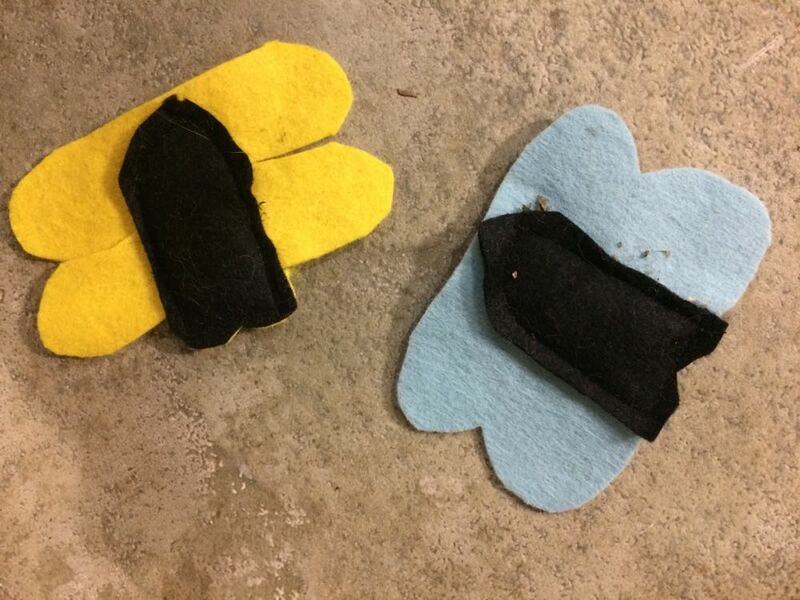 Make sure the toy is child safe and soft, and watch that toy become a favorite companion! 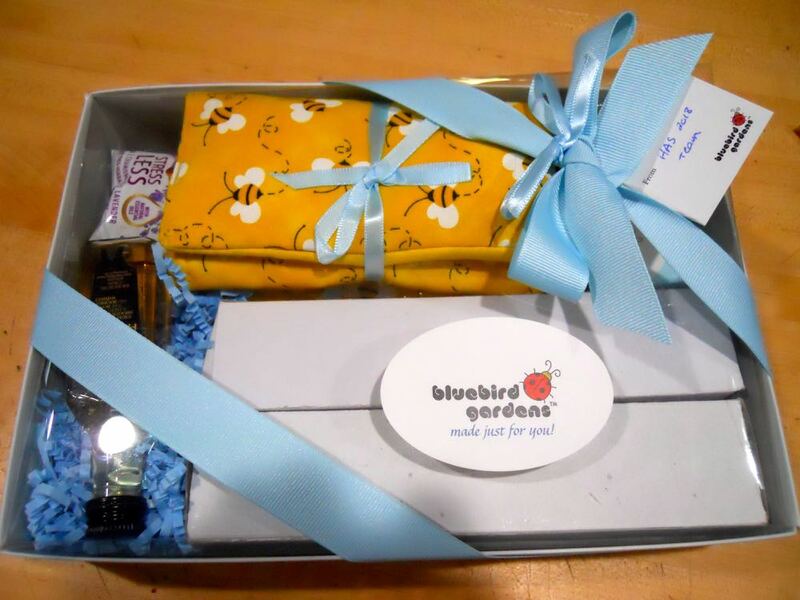 My favorite way to personalize a baby gift, to add a complimentary toy tucked inside a quilt! Now I may be just a little partial to Panda bears since one of my first stuffed toys was a little black and white Panda bear. It didn't have a baby quilt attached to it but after all those years, I still have that little bear! 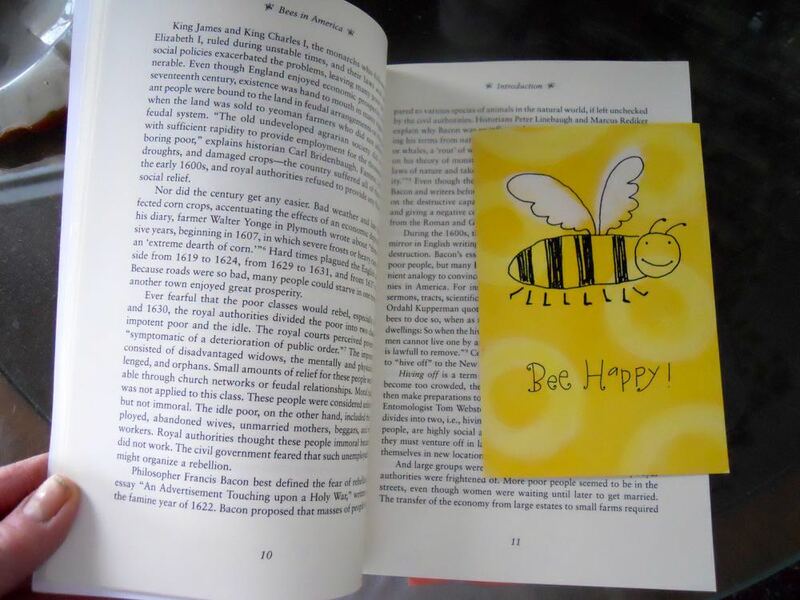 One of my favorite magnet book marks was made out of this little "bee happy" thank you card. A friend recently said the best gift I gave him for Christmas was a little magnet book mark I made out of a photo of his dogs. Since we now have a full year ahead of us of special days, here is how to make these very easy personalized book marks. In this example, I am using several favorite cards so that I can easily re-read them later tucked into favorite books, such as recipe books. You can also make them from printed photos on cardboard, or by adding photos onto cardboard. Regular paper is too thin so select something with a heavier weight to hold the attached magnets. More favorite cards turned into magnet book marks with the simple application of the magnets. You will find the strip of magnets at any craft store. 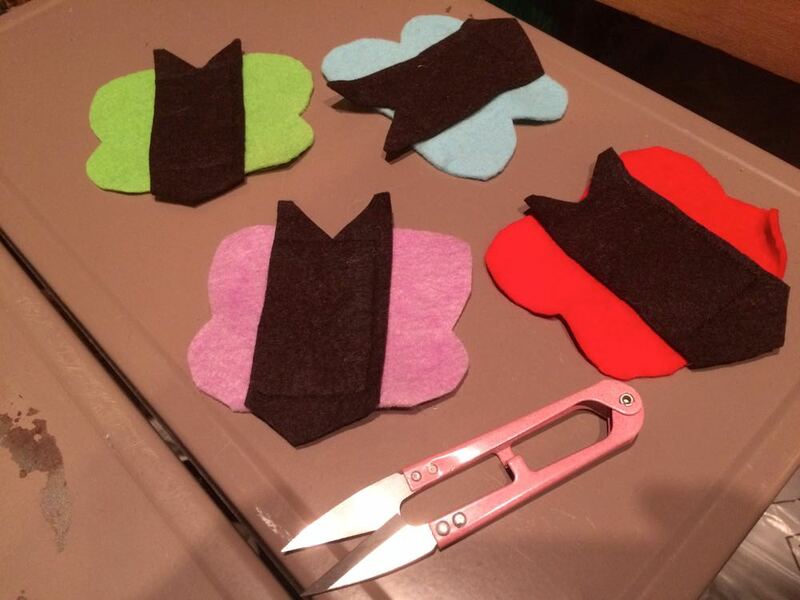 The magnets are easily cut with scissors. I use a 3/4-inch size to securely hold the card on the pages. The other bonus of these magnet book marks is you get to re-read the lovely cards. The magnets I use already have a glue strip but I add reinforcing glue to make sure the magnets don't fall off. 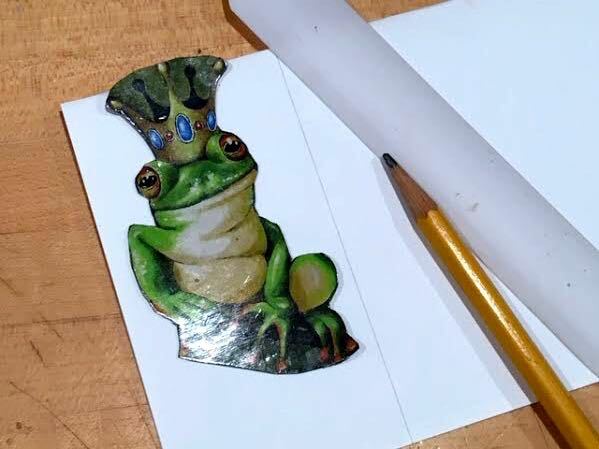 To secure the glued magnets, place the final bookmark in a book and let the weight of the book ensure the glue dries correctly. If it still doesn't hold, use regular glue to secure the magnets to the two opposite sides of the card. 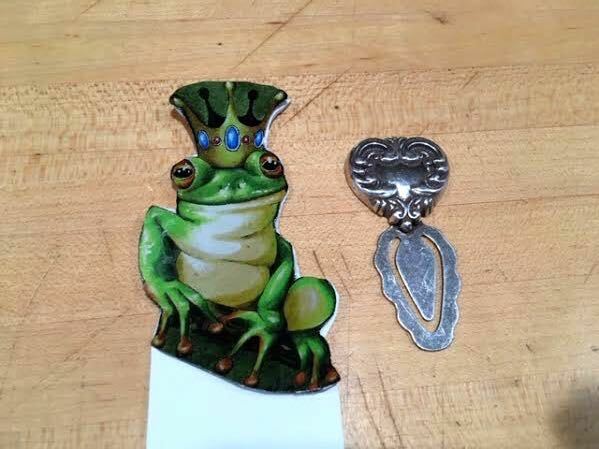 To make sure you are gluing the right side of the magnets, glue the first one and allow to dry. Then fit the second one on the glued first one. Add glue to the back side of the second magnet, attach the opposite side of the cardboard to the second magnet with glue. The easiest way to do that is make sure there is no extra glue around the magnet before closing a book around the book mark to set the glue. These could be made with initials printed onto cardboard for a simple personalized gift, too! A lovely variety of English primroses for sale for 99 cents at one of our local grocery stores. Depending on which calendar you check, the February gift flower is either the English primrose or violets. The only violets available this time of year in Missouri are the tender, inside African violets. Both these flowers are non-natives and grow in shade in their native habitat. English primroses are blooming now in France, where although it's also winter the weather is a little more forgiving. I have a little purple English primrose in my living room, a purchase at a local grocery store. This was the only purple English primrose in the bunch of flowers on sale. I bought the purple English primrose because it reminded me of the wild violets that will be blooming in my one-acre hillside garden later this year. What I noticed about caring for English primroses is that they don't tolerate their roots going dry. That makes sense since in their native environment, they live in the moist leaf litter under trees. When the soil is dry, their leaves drop and the plant can easily die. This little purple African violet has been with me for many years and almost blooms continuously. I keep both English primroses and African violets in indirect light on the southwest side of the house in a window and check daily that the soil has not dried out. This is one of the older African violets, considered original. It's hardier and blooms continuously. Besides a few African violets purchased on sale, the rest of my African violets are a non-hybrid variety so they are hardier, and bloom almost constantly. Their color is more of a pink purple and the color changes as the flowers unfold. In the "Language of Flowers," violets stand for faithfulness. In a month celebrating Valentine's day, it seems appropriate, don't you think? Which ones have you tried to grow or have you grown both? Enid Collins "signed" Les Fleurs Wood Purse is an easy gift to quickly personalize. 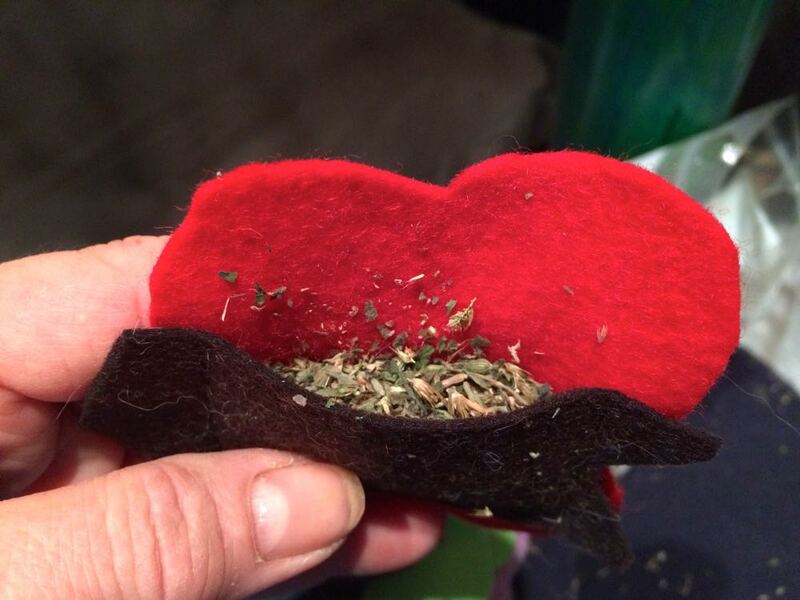 There are a number of unconventional ways to give someone flowers and this should definitely be on that list. I didn't know anything about Enid Collins and her career in the 1970s of making eclectic purses out of wood, I just knew I liked this little gem of a purse. The bee on the side was the first thing to catch my attention. As a beekeeper, anything with a bee tends to catch my eye. Flowers will also get my attention so this one had both, a gold-toned bee and white, daisy-like flowers, one of my all-time favorites. The designer's initials are on the side and the bottom, which helps to date the purse to the earlier days of her designing these interesting purses. Bottom of the wooden purse identifies the artist. 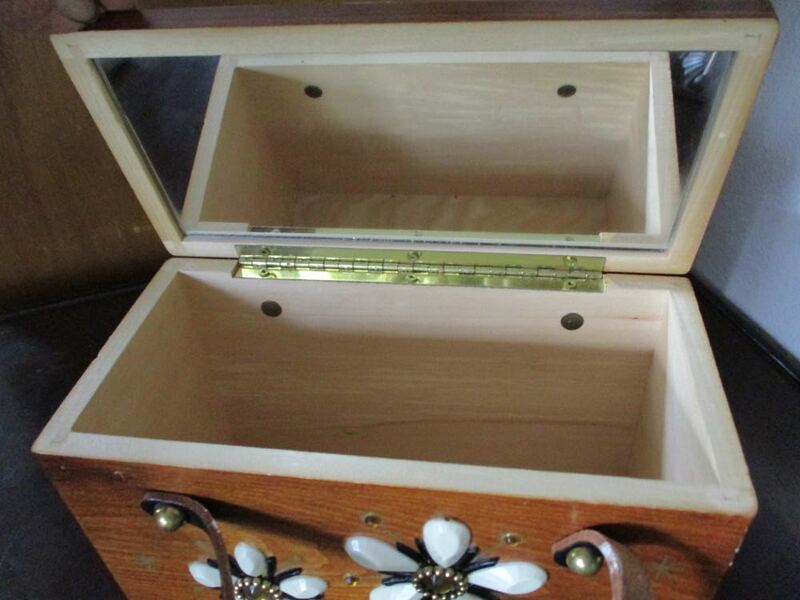 The vintage wooden purse is in pristine condition inside with a mirror spanning the entire lid inside. Inside of this wooden purse from the 1970s is in pristine condition. This wooden purse is wide enough to fit a cell phone, a glass case, a bill fold and still have room without being too big, and cute to boot. What I like about the concept of this purse is that it will not easily be banged into or damaged so the contents won't be damaged, either. This sprig of bridal veil was cut when most of the flowers were closed. 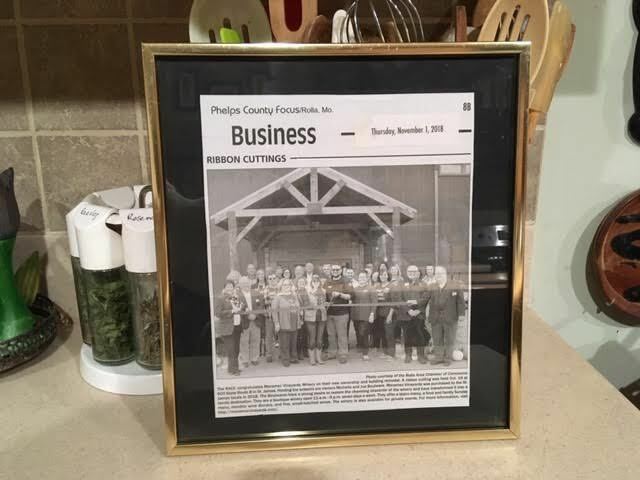 One of our customers wanted to add a living plant to a country double wedding ring quilt she purchased as a wedding gift and bridal veil bush was one of the recommendations I gave her. This long-lived perennial bush is lovely as is, even prettier when it is in bloom. The delicate white flowers give the bush its name. Bridal veil bush has delicate leaves and makes a nice focal point in a garden corner. In addition to being easy to care for, the cut branches are long lived as cut flowers for inside vases. I like the delicacy of the white flower clusters and how they fall on the long branches. A cut branch from bridal veil bush in a vase on my mantle. Not one there you like? Then Bridal Veil bush it is!